Article illustrates how bracelets have come a long way and gives a sneak peak in to the latest trends of current styles worn and the causes their wearers represent. The humble bracelet that we wear as an accessory, has a surprisingly bit of rich history behind it. 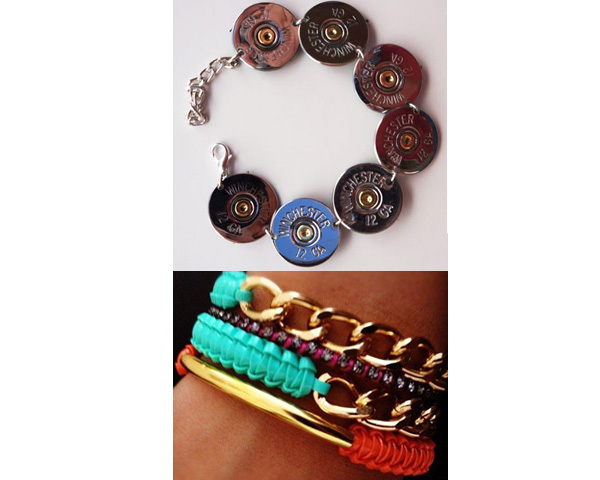 A bracelet is a piece of jewelry worn around the wrist. It is generally made from leather, cloth, metal, plastic or other materials. Studded with jewels, rocks and other artifacts make them traditional jewelry attire. The ornament seems to be of Greek origin, with the term bracelet derived out of the Greek term ‘brachile’ meaning of the arm. There also seems to be a lot of cultural significance especially Egyptian with certain Egyptian bracelets being as old as 5000 BC being found in archeological sites. For the Egyptians the bracelet represented a symbol to serve religious and cultural interests. 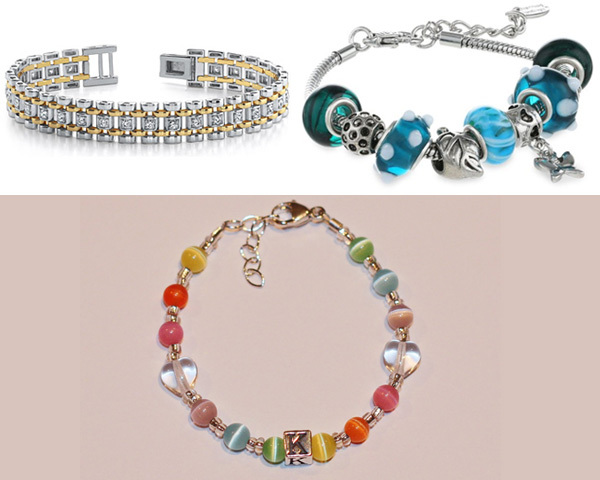 Today’s bracelets have found good innovation and have come a long way from their earlier Egyptian days. The current trend seems to be of wearing them mixed with different colors and styling. One famous style is two fabric strings being mixed and are attached with a final metal. 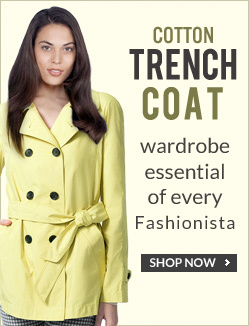 Apart from cloth there is also a style that is really easy to carry off i.e. when cloth or plastic ones are paired with a smart pair of matching shirts and trousers. Then one should not forget metal bracelets especially gold and silver ones donned during events like weddings and parties. The brace can also be a signature statement and one can see numerous actors having signature ornaments, which have in return symbolized them. There is also the fashion of wearing them for cause, do u remember the yellow wrist braces popularized by lance Armstrong during his fight against testicular cancer. 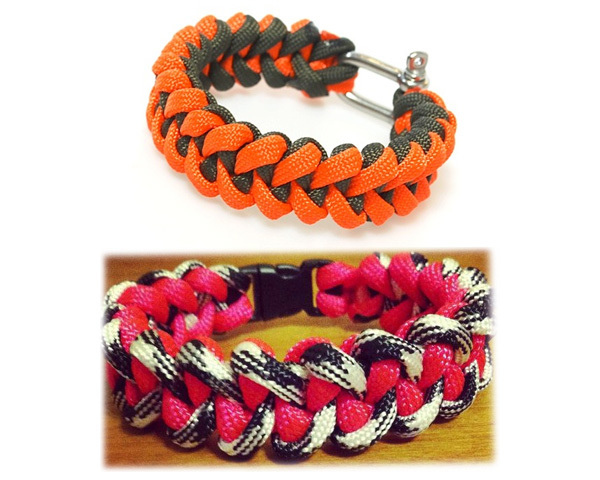 These are a very smart way of making a particular color support a cause through the bracelet. Lance’s was just the start. Then what followed was the pink movement with the pink ribbon movement associated for spreading breast cancer awareness. The ribbon is also a symbol for birth parents and childhood cancer awareness. 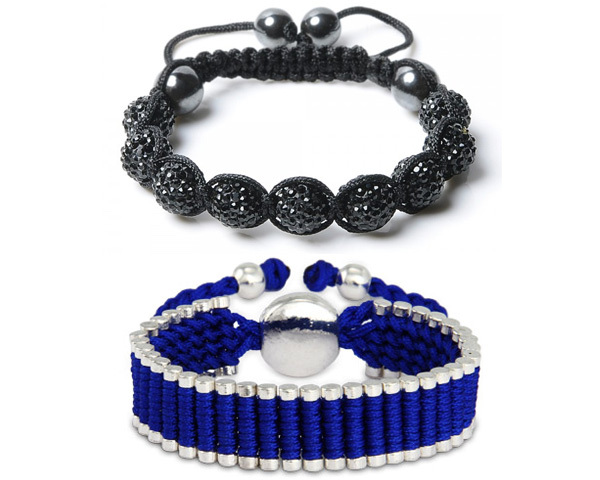 Bracelets are among those accessories that have successfully innovated to change and survive since a very long time. Hope you have enjoyed reading today’s article as much as we have enjoyed researching and writing it for you. If you have any particular theme on which you would like us to write on, do let us know.